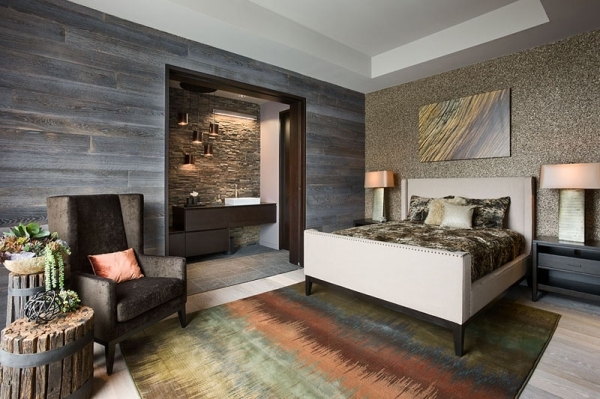 This mountain chalet is a dream…….. 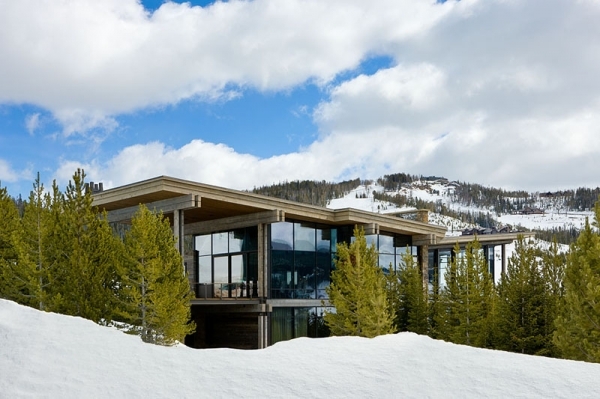 Created by Reid Smith Architects, Lower Foxtail Residence is located in the Yellowstone Club in Montana. 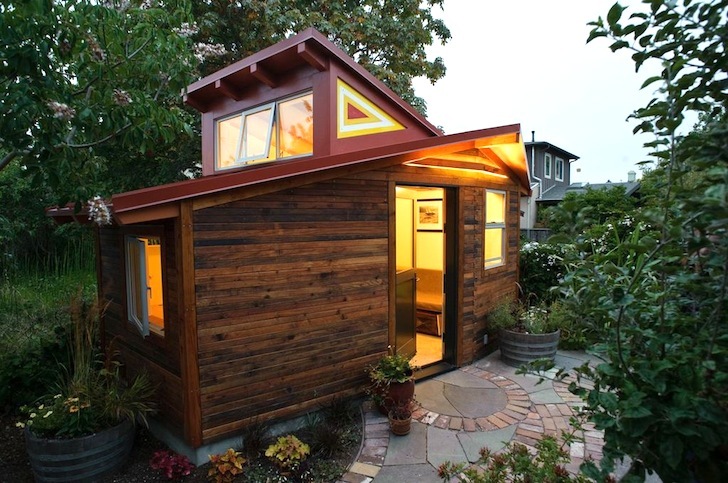 The exterior of this home is nothing but dazzling glass, stunning stone, and natural wood. The architecture is absolutely fantastic and we love how the height of the home is almost matched by the height of the trees. Lush greenery and tall mountains encircle the home, providing awe-inspiring views. The open plan is truly luxurious with its earthy accents, glamorous details, and large beautiful windows. 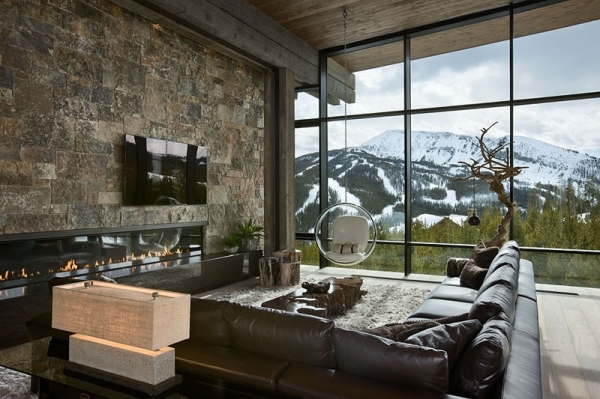 In the living room of this mountain chalet the delightful stone and wood continue, and the floor to ceiling windows are gorgeous with their black detailing. A long and modern fireplace lines the wall, and a leather brown sofa provides seating. Plush pillows and a plush area rug add a dose of glamour, a marvelous wooden table and earthy accents contribute coziness, and a modern chair brings a little sleekness to this magnificent room: positively superb. 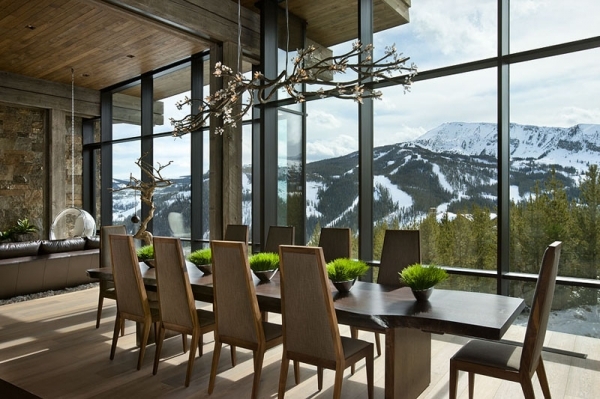 The views in the dining room are out of this world. A long wooden table with captivating curves fills the space. The straight lines of the chairs, beautifully oppose the curves found in the design of the table. We adore the enchanting plants that fill the table, and the amazing chandelier that completes the design. The bathrooms in this mountain chalet can’t be called anything but incredible. The large circular mirror is amazing and the décor items are perfectly done. 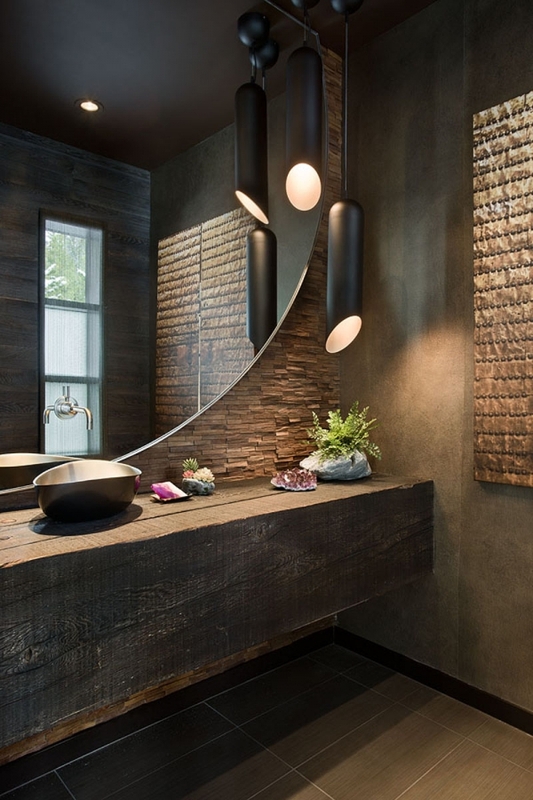 We love the texture of the wood, it adds a phenomenal amount of excitement to the design. The large soak tub, in front of the window provides the perfect space to relax and the stone makes the bathroom feel like a spa. The gold table is a fabulous touch, adding a little more glamour to this stunning space.